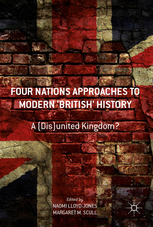 Four Nations Approaches to Modern ‘British’ History: A (Dis)United Kingdom? was published by Palgrave in November 2017. It is edited by Naomi Lloyd-Jones and Margaret Scull. You can order it here. Read about the contributors here. Read the abstracts for each chapter here.